If I were to tell you, in 2015, that within 3 years Burnley would have three England International Goalkeepers you’d have called me insane. However, that is the situation Burnley find themselves in today. You would think that having three of England’s top keepers is a nice problem to have! It is, however, proving to be quite the selection headache. During the 2016/17 Premier League season, Tom Heaton was incredible. He made the most saves out of every Premier league keeper, with 141, with his season highlight being the 11 saves he made in a 0-0 draw at Manchester United. These 11 saves included that famous save (see below). Unfortunately, at the beginning of the 17/18 season, he was injured. Burnley and Fantasy Football fans all over the world couldn’t believe it. Fortunately, however, this injury, which kept Heaton out for almost the whole season, gave rise to Nick Pope; a goalkeeper who had never made a Premier league appearance until this point. He was fantastic for all of the 2017/18 season. He was so fantastic that he even got a call up to the England FIFA World Cup squad, where he reached the semi-finals. During this season, he managed to concede less than the likes of Petr Cech and Kasper Schmeichel. Due to his stunning performances, Burnley managed to finish 7th. This was their highest league finish since 1973/1974. In addition, this meant that they would be taking part in Europa league qualification the following season. At the end of the 2017/18 season, people were already debating who should be Burnley’s number 1 for this current season. Should it be the experienced Tom Heaton? Or should it be the new-kid-on-the-block Nick Pope. However, this dilemma was one that was soon solved. The answer, unfortunately, was neither of them. Within 3 days, both players were injured. Although Heaton’s calf injury kept him out for just 19 days, he would still miss the beginning of their Europa League journey. I remember thinking at the time about the irony of the situation. One year, Heaton gets injured after an excellent season. Then the next season, due to Heaton’s injury, Pope plays a full season and performs excellently, only to get injured at the end of it. At the time, I was thinking it would be an endless cycle as Heaton was set to be the Number 1 goalkeeper for the majority of this season. As Burnley were now in the Europa League, they needed to figure out a way to cope with the excessive amount of fixtures. They wanted to make the most of the opportunity, and they couldn’t do that with Lindegaard in-goal. So what did they do? They went and bought Joe Hart, the goalkeeper with the most Premier League Golden Glove awards and 75 England caps. So far this season, Hart has started all 5 Premier league matches even though Heaton has been fit for all but 1. During these games, Hart has managed to make the most saves out of every other goalkeeper in the league. For purposes of this article, let’s assume that all 3 goalkeepers are fit, unless stated otherwise. The stats I will be using for Pope and Hart will be from last season. Whereas the stats used for Heaton will be from the season before. All the stats will be the from the players’ per 90 metrics. In recent years, it has been typical of a Premier League team to have a League Goalkeeper and a cup keeper. The ‘cup keeper’ is often the worse of the 2 options. In Burnley’s case, it wouldn’t be unfair to say that all 3 keepers are of similar ability. My goal is to discover which of the 3 is the best suited to Burnley in the Premier League. The reason Joe Hart was effectively forced out of Manchester City was because of his inability to play out from the back. Burnley don’t tend to play out from the back so this shouldn’t be an issue for him. Then again, the other 2 goalkeepers are both comfortable with this style of play as well. However, looking at the stats, Hart seems to be best suited to this style of goalkeeping. He has a distribution accuracy of 49%, the highest of the three. This, combined with the fact that he also has the furthest average distribution length, at 58m, means that his style of play whilst on the ball is well-suited to Burnley. This means that he is capable of pumping the ball long to Burnley’s target man, whether it be Vokes or Wood, in order to hold up the play and bring the wide wingers into the game. As you can see in the graphs to the right, Hart has better distribution into areas further up the pitch compared to the average goalkeeper. This further reinforces my point that Hart is well-suited to Burnley’s style of play. Out of the three, Nick Pope had the most clean sheets per 90 minutes with 0.3. He is closely followed by Heaton, who has a respectable 0.29. It is important to bear in mind that Hart was playing for a defensively weak West Ham side at this time. However, he is lagging behind with a worrying 0.21 clean sheets per 90 minutes. Pope also conceded the least amount of goals per 90 minutes, as well as making the most amount of saves; emphasising his importance to the team. To make this as fair a test as possible, let’s take into account Hart’s start to life in the Premier League at Burnley. Last season, Burnley conceded just 39 goals with Nick Pope in-goal for most of the season. This season, they have already conceded 10 goals which is an average on 2 per game. This is nearly double Pope’s goals conceded per 90 minutes from last season. On the other hand, Hart has also made the most amount of Premier League saves this season. This could suggest that their defensive problems are with the back 4, rather than in-goal. Although, Hart conceded over 2 goals per 90 minutes whilst at West Ham – a stat that led to him being dropped from the starting 11. There is also a case to be made that it is the Europa League which is causing Burnley’s problems; problems which have seen Burnley fall to the bottom of the Premier League table. I, personally, disagree with this point because it has been Heaton, and mostly a rotated back 4, that have been starting in the Europa League. Ergo, they shouldn’t be suffering from fatigue. Additionally, Burnley play the same back 4 in the Premier League as they did last season, so there shouldn’t be an issue with their ability. It is also important to bear in mind that it is 2 years since Heaton’s incredible 16/17 season, so his ability may have decreased. We saw hints of this when Burnley lost 3-1 away to Olympiacos. Tom Heaton and Joe Hart obviously offer the experience. They have a combined 731 league appearances between them and are just 32 and 31 respectively so are arguably in their prime, as goalkeepers. All 3 of Heaton, Hart and Pope are capped by England. Joe Hart is obviously the most internationally experienced with 75 appearances for England and has been to 2 World Cups. However, he was not selected for the recent 2018 World Cup. Although he has recently stated that he is “Ready for England”. 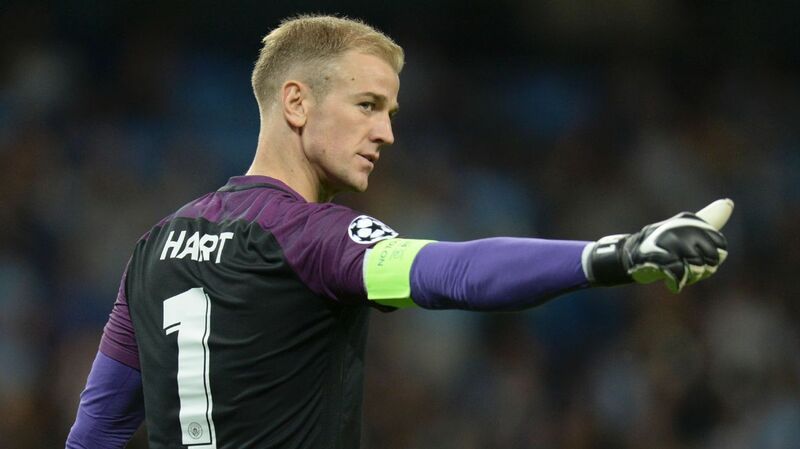 Pope was the man to replace Hart in the 23-man World Cup squad. Pope is obviously the youngest of the 3, at just 26, but this bodes well for the future as he has plenty of time to mature even more and develop as a player. Ultimately, none of the 3 are likely to settle for 3rd choice except maybe Heaton. In my opinion, Pope should be number 1, with Heaton as number 2. In a way, I feel sorry for Joe Hart, as the past few seasons must have been horrible for him, but I feel as though Pope is the best option. Pope is the best shot stopper and the man who carried them to a 7th place finish. Whereas, Heaton is the perfect number 2 as he is the experienced club captain. Despite this, I feel Hart could easily take his place as number 2. Burnley could do with an official club captain that starts every game, such as Tarkowski or Mee; both of which are leaders therefore reducing the need to keep Heaton. Hart, as I mentioned, is best suited to their long-ball style of play. Despite this, the stats are so close between the 3, that I don’t think it would make much of a difference. The decision obviously remains in Dyche’s hands, but I can’t see him selling Hart after only signing him in the summer. As all three of them will be fit by December, as long as none of them get injured between now. And after then, surely one of them will need to be sold. I think the most likely to be sold has got to be Heaton. However, he would be a good influence to have around the camp for the younger players, so if he is willing to accept little game time, then they should absolutely keep all three. Let me know your opinions on the matter either at @JasperTDOF or @SportsGrape on Twitter. I’d love to hear who you think should be starting. Student at a sixth form college in South West London, currently writing for Sports Grape, the number one student sport platform in the UK. I am a life-long Arsenal fan and proud Brentford season ticket holder. I hope to study Journalism at one of my preferred universities.